Sky Harbor Interfaith Chaplaincy gives witness to the love and compassion of God by its service to people at Phoenix Sky Harbor International Airport. Responding with care to airport emergencies and accidents. 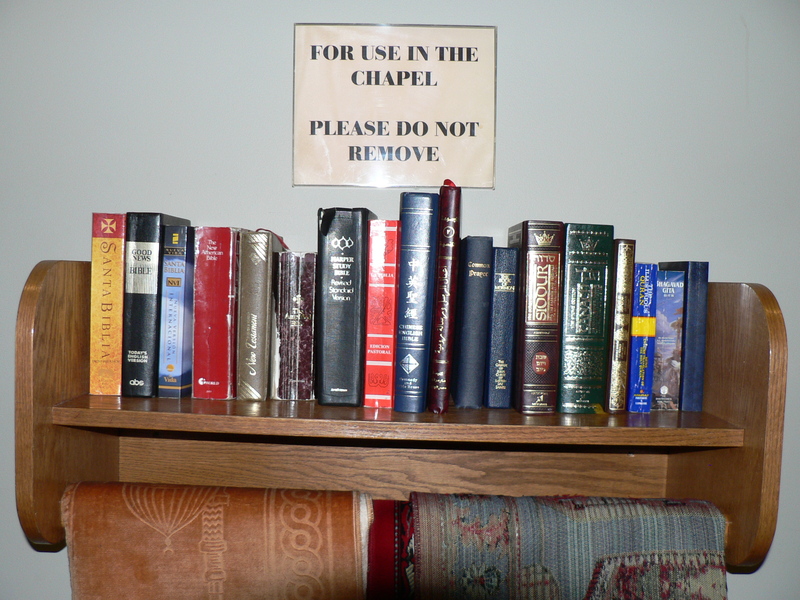 The Chapel serves all visitors, regardless of their faith. Image © Scarboro Mission. Sometimes we focus so much on our differences that we lose sight of what we hold in common with people of other societies and faiths. Christians are guided by an ethic that Jesus expressed in a single sentence, “Do to others what you would have them do to you,” the Golden Rule. 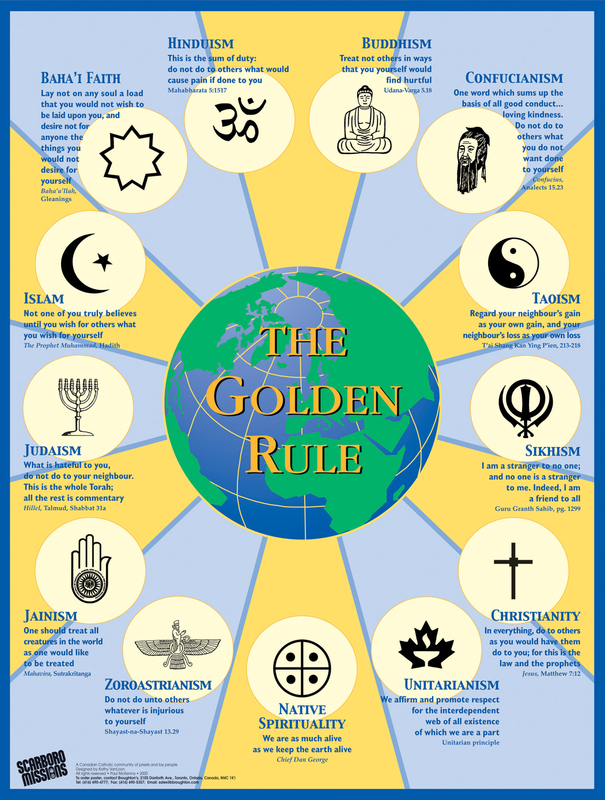 This poster shows a similar ethic as it is expressed by twelve other traditions. A copy of the poster and related materials may be ordered from Pfluam Publishing, Dayton, OH, 800-543-4383 or Interfaith Marketplace, Seattle, WA 206-743-8810. 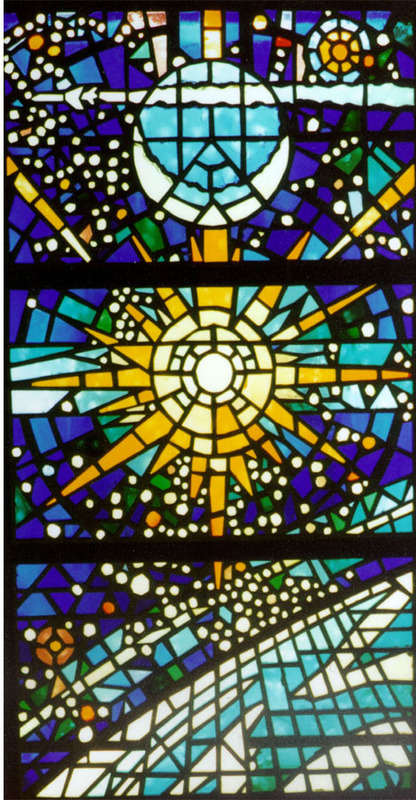 Stained glass at the Chapel. Next to the entry way of the chapel is a large stained glass window. It was designed by Robert and Louise McCall, nationally known artists. Funding for the design and fabrication of the window was given by the Solheim Foundation of Phoenix. 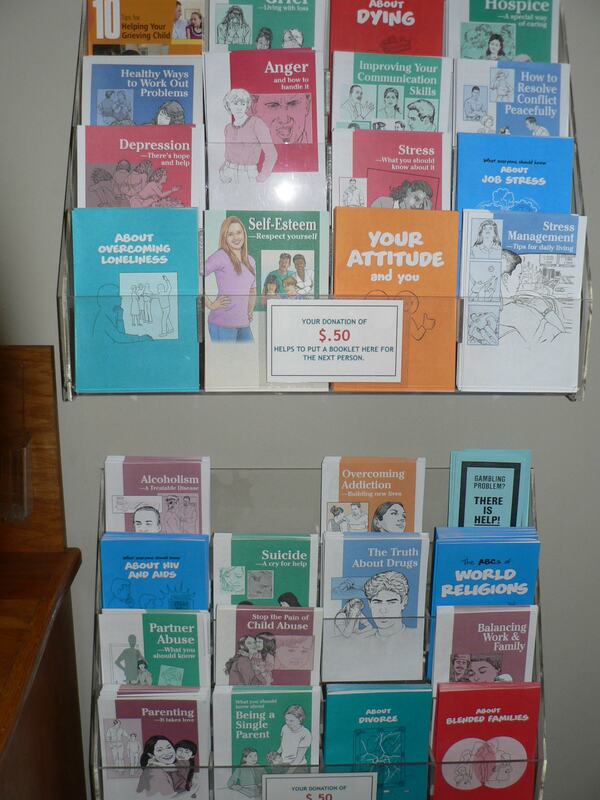 When visitors enter the chapel they find an array of booklets that address many personal, family or work-related topics. These are free for the taking and provide helpful information that people appreciate. Each year almost 2,000 copies go out. Resources for travelers of all faiths.